Best Toy Chests and Toy Boxes for Kids! Toy chests for children are the most useful and the cutest furniture pieces you can have in a child’s bedroom! They truly help children learn how to be organized and have fun at the same time! On this page you will find the most beautiful and most colorful and unique toy chests and toy boxes for children around! I prefer the larger toy chests for children, since they can fit a lot of toys and help your child’s bedroom look more organized and cute! 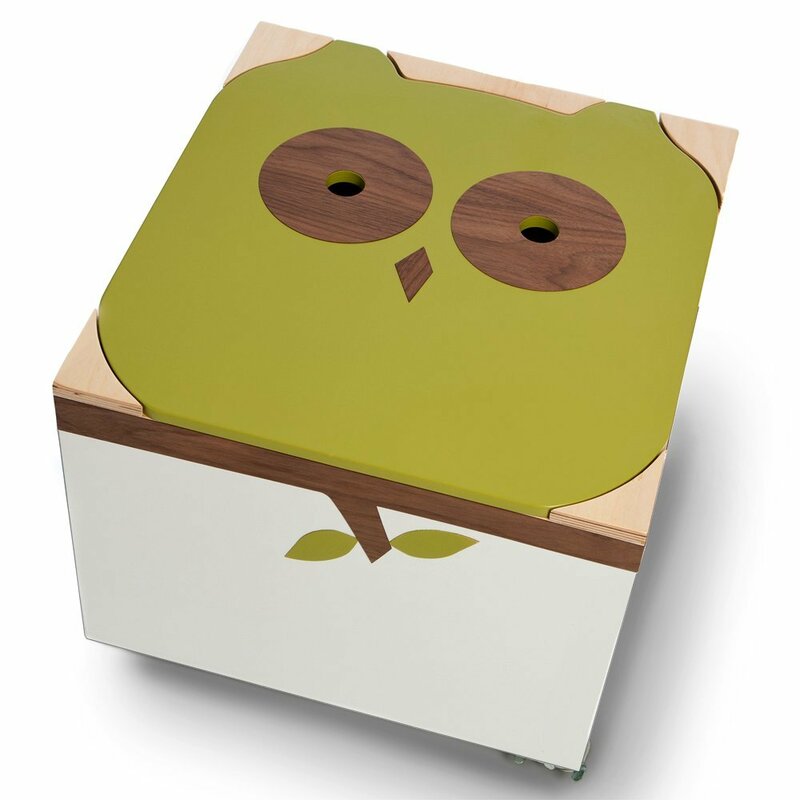 This owl toy chest for kids is one of my favorites! Perfect for a cute owl nursery!! It will look gorgeous in your child’s bedroom! I believe cute, colorful and fun toy organizers for children make wonderful gift ideas anytime! Mom and dad will appreciate your gift and the kids are gonna love it too! What a fun way to keep toys away! Cute Jungle Theme Toy Box! 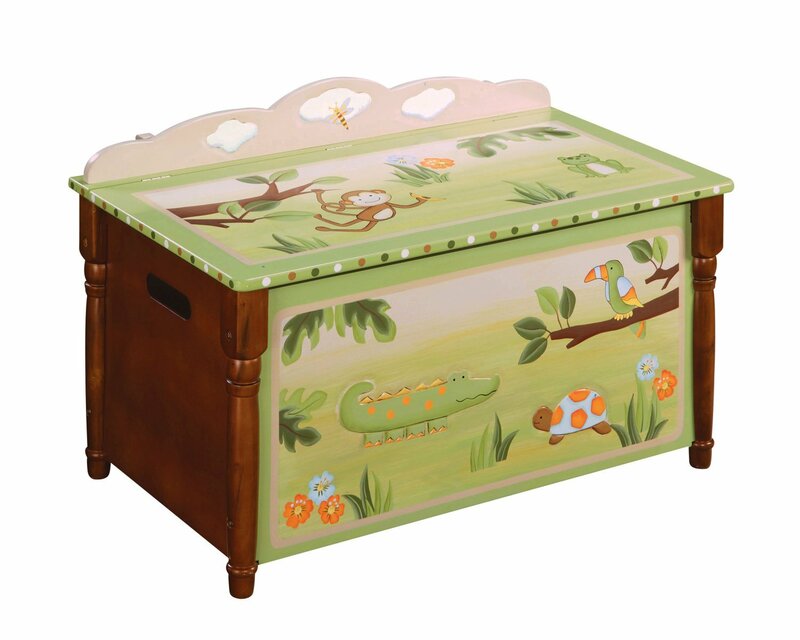 Adorable jungle toy chest for children! 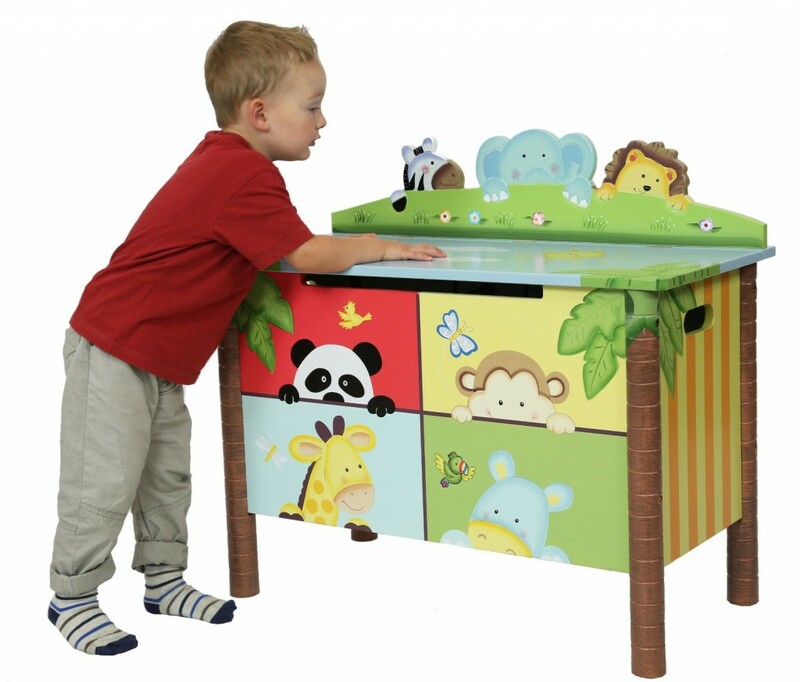 Children love animals and that’s why they love animal themed toy chests and toy boxes! You can see a happy turtle, alligator, bird and a cute monkey all hanging out in the jungle! This is the perfect toy for a green bedroom or if you also have other jungle theme stuff too! Needless to say it’s gonna make a wonderful gift! 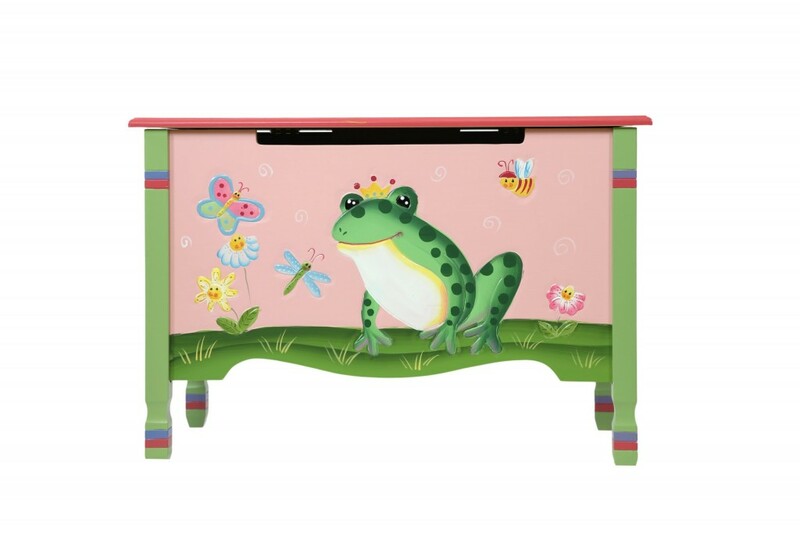 Adorable Frog Prince Toy Chest for Girls! In my opinion this is one of the most adorable toy chests for girls available! It is the prince frog happily waiting for a true love’s kiss to transform him back to a handsome prince! You can also see cute butterflies, flowers, bees and a dragonfly keeping the frog company! Lovely pink color! Dimensions: 31.2 x 15.4 x 21.4 inches. Toy chests for children need to be fun, cute and colorful! This cute toy chest is all that plus more! Wow! Is is a toy bench, toy box or toy chest for children? It’s all of that! Gorgeous wooden toy chest for boys with a Wild West theme! Perfect for sitting, putting toys inside or just decorating a child’s bedroom! Needless to say it’s going to make an amazing gift idea to any little boys in your family! What a fun way to teach small kids how to put their favorite toys away after they are done playing! Dimensions: 31.8 x 14.5 x 26 inches. 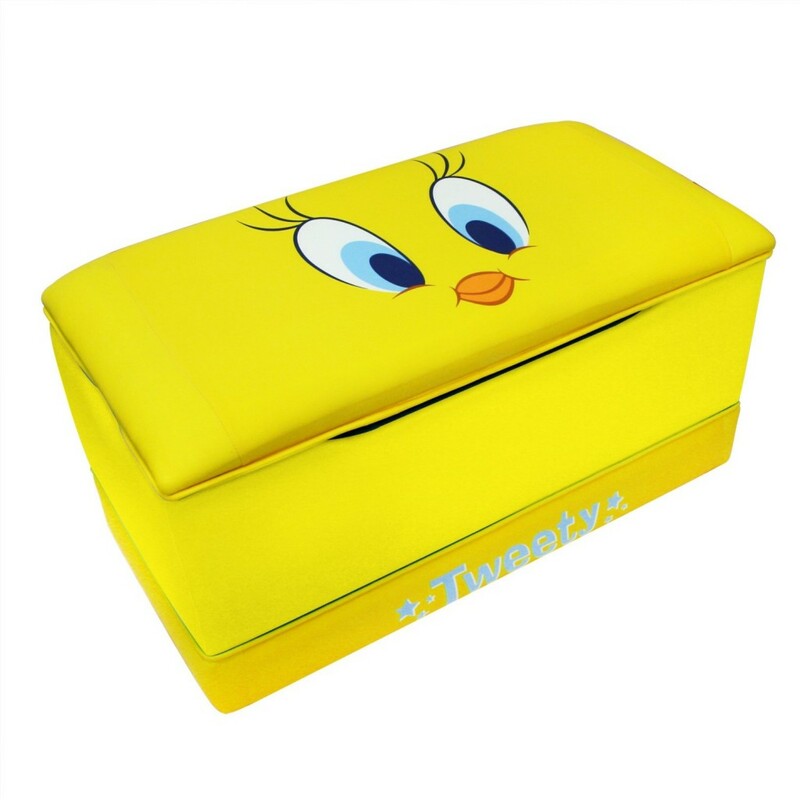 Adorable Tweety Toy Chest for Kids! What a cute Tweety toy chest for children! It is so happy and fun!! What a wonderful addition to your child’s bedroom it’s gonna be! It is very affordable and will ship for free! The best toy boxes and toy chests for children need to be sturdy and spacious! This is a gorgeous vintage looking toy box made of baltic birch ply wood. I love the antique look! Cute Disney Toy Chest for Boys! We can’t talk about Disney chests without also having a cute Disney Cars toy chest! Your little boy will love putting his favorite toys away! (And getting them out…. so he can put them away again!) Happy buyers say it makes a wonderful gift idea for toddler boys! Product Dimensions: 24.6 x 15.4 x 13.5 inches. COOL TOY CHESTS FOR BOYS: Batman! Boys love stuff from movies and super-hero stuff! 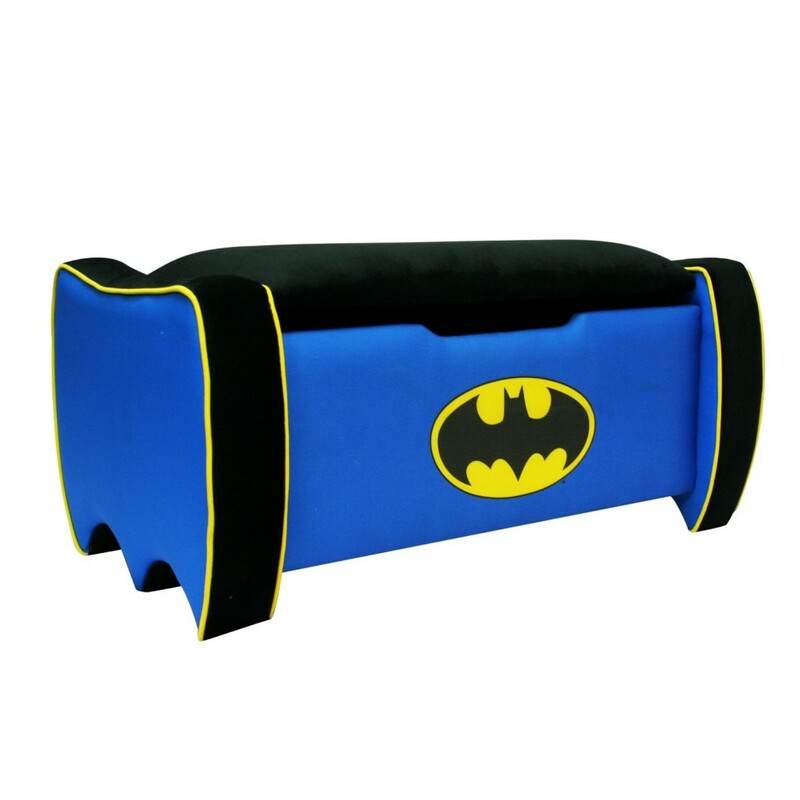 This gorgeous Batman toy chest for boys is large, durable and padded all over it! Perfect to teach the little ones how to put all their toys away when they are done playing! If Batman is your boy’s favorite super-hero, I’m sure he will be thrilled to be getting this fun Batman toy box! He will be assured that all his favorite toys will be perfectly safe after he is done playing! Dimensions: 30.5 x 18.5 x 28 inches. Very Cool Soccer Ball Toy Box for Boys! 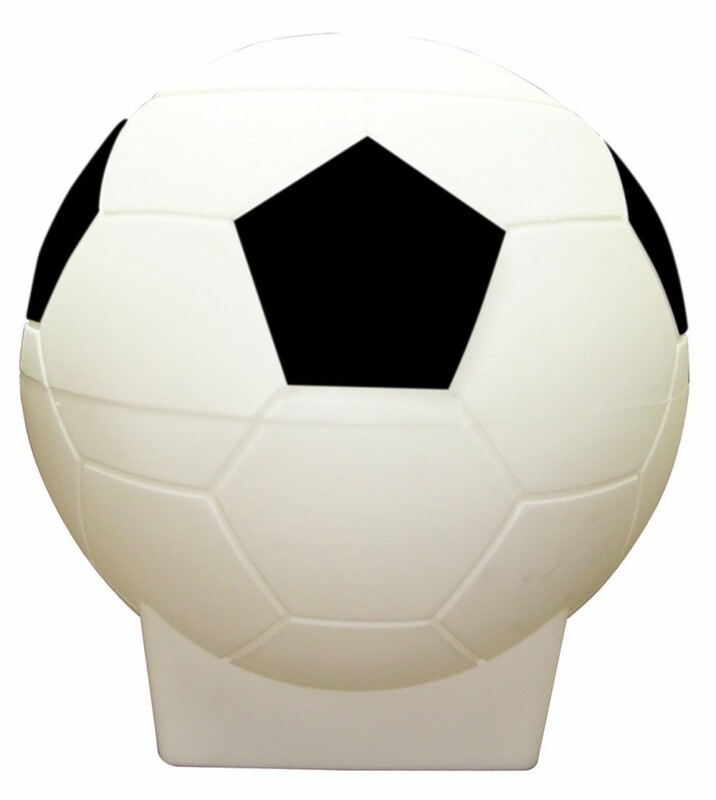 Of course I could never forget to show off this gorgeous soccer ball toy chest for boys!! Have you ever seen a more creative toy organizer for boys? You can use it not only for toys, but also for laundry, blankets or anything else! If you have two boys you can give one to each! The football one in one bedroom and this soccer ball in another! Will look amazing in your son’s bedroom! What a fun and colorful sports toy chest for boys! 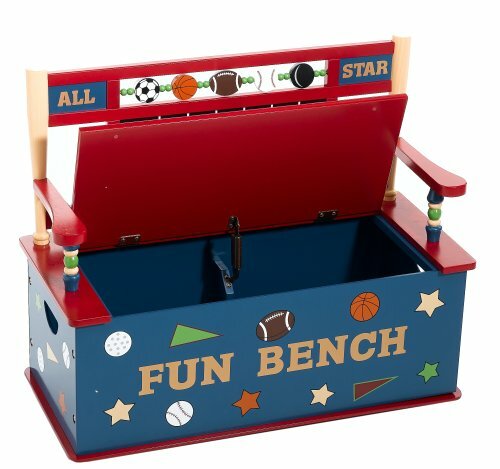 It is also a cool bench and it is the perfect toy chest for boys! It is full of cool sports designs including a baseball, basketball, soccer ball and more! It is a great addition to any little boy’s bedroom! They are going to have a blast putting all their toys away after they are done playing! 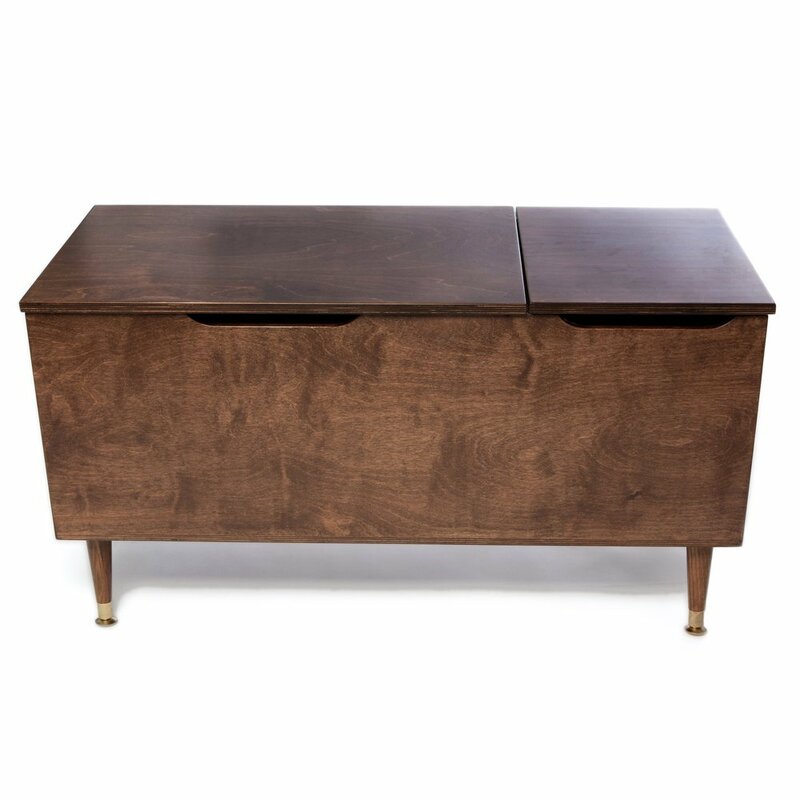 Dimensions: 32″ l x 13″ w x 28″ h; 16″ box height. 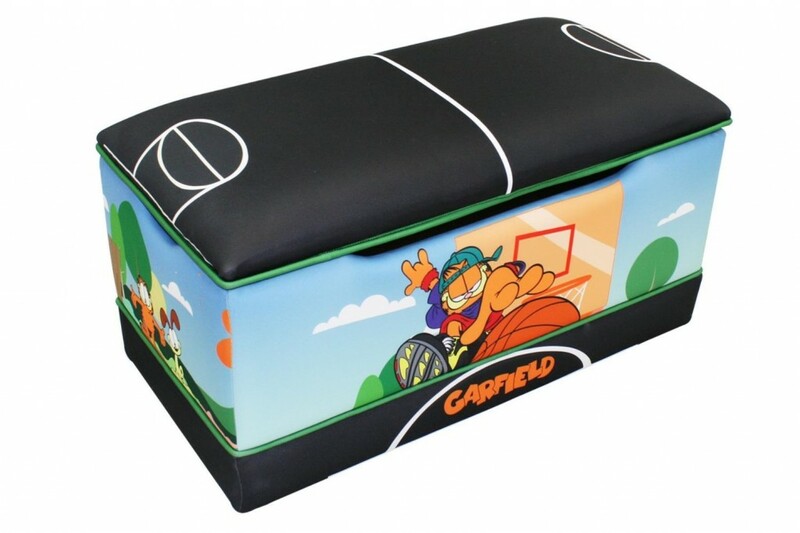 What a cool and unique Garfield toy box for boys! It was made with polyester fabric around the hard wood frame, so it will not hurt your child’s fingers! Awesome gift for a new baby boy in the family! 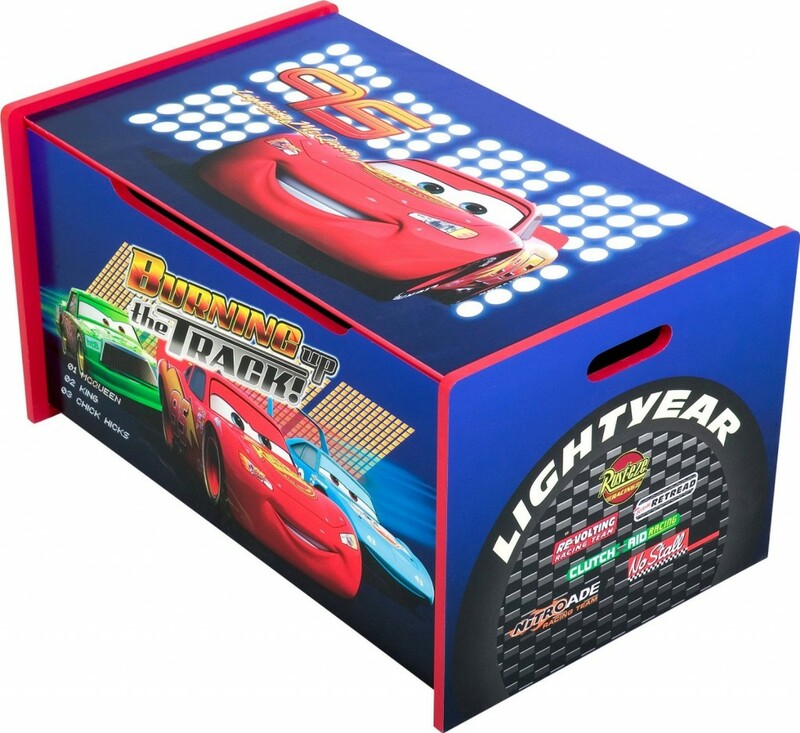 Cute Truck Toy Box for Toddler Boys! Boys definitely like trucks and this truck themed toy box for boys is just perfect for any little boy’s bedroom! Will look very cute! So, what are you going to put inside? Toys? Stuffed animals? Toy trucks? Cutest Toy Chests for Girls! Toy chests for girls need to be extremely cute and girly of course! 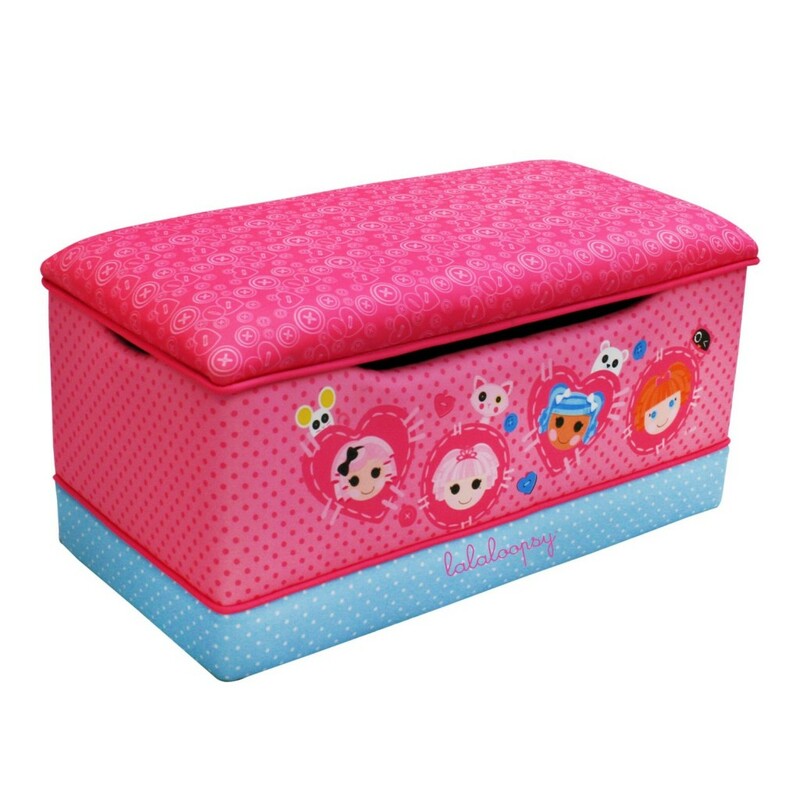 This Lalaloopsy toy box is one of the most beautiful toy chests for girls around! It’s cute, it’s pink, it’s soft and it looks adorable! Your little girl will be so excited and actually looking forward to putting all her toys away inside her beautiful toy chest! Cute toy chests make awesome gift ideas for toddlers and baby showers! I hope you enjoy my selections and find the cutest toy box for your little girl here! 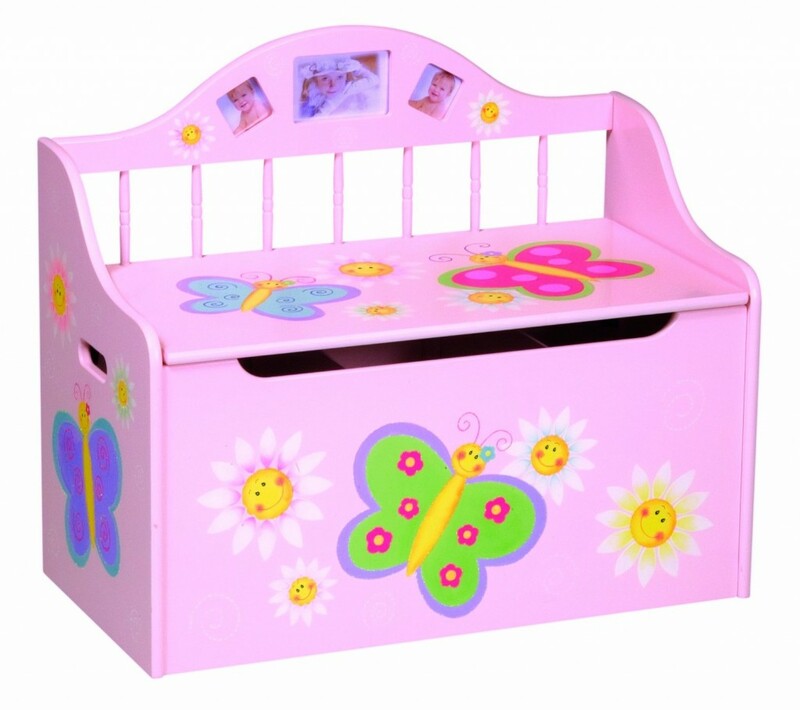 Adorable Butterfly Toy Box Bench for Little Girls! 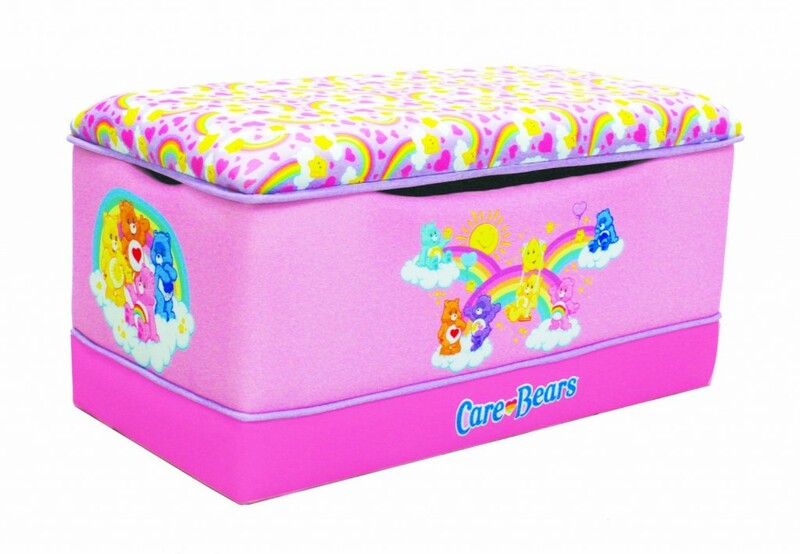 Gorgeous Care Bears and Colorful Rainbows Pink Toy Chest! Large and soft pink Care Bears and rainbow toy chest for girls! It is one of the most beautiful and unique toy boxes for toddler girls ever!! It’s made of soft polyester fabric and it’s very durable! It won’t hurt your little girl’s hands! Needless to say it will make a beautiful birthday gift or new baby girl gift! 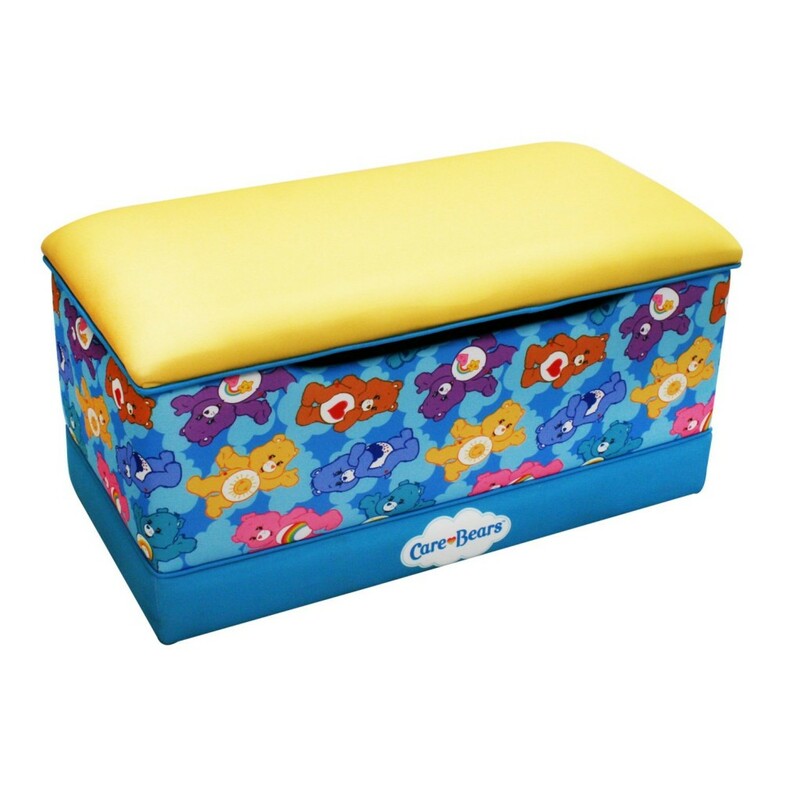 I had to show you this other cute and colorful Care Bears toy chest!! The only bad news about it is that (for now) there is only one left!! Who is your favorite Care Bear? 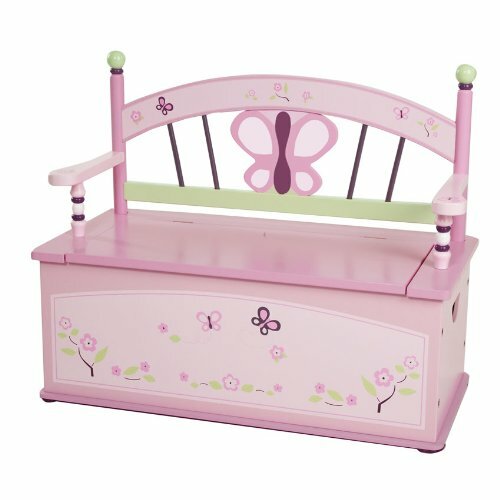 Another very cute pink butterfly toy chest for girls! You can see a happy and large colorful butterfly happily chatting with the cute daisies! All is well and happy in her world! This cute toy box for girls was carefully hand-painted and will complement your child’s bedroom decor! Dimensions: 28.5″ h x 17″ w x 32.5″ l weight: 46lb. Unique Smurfs in Love Toy Box! 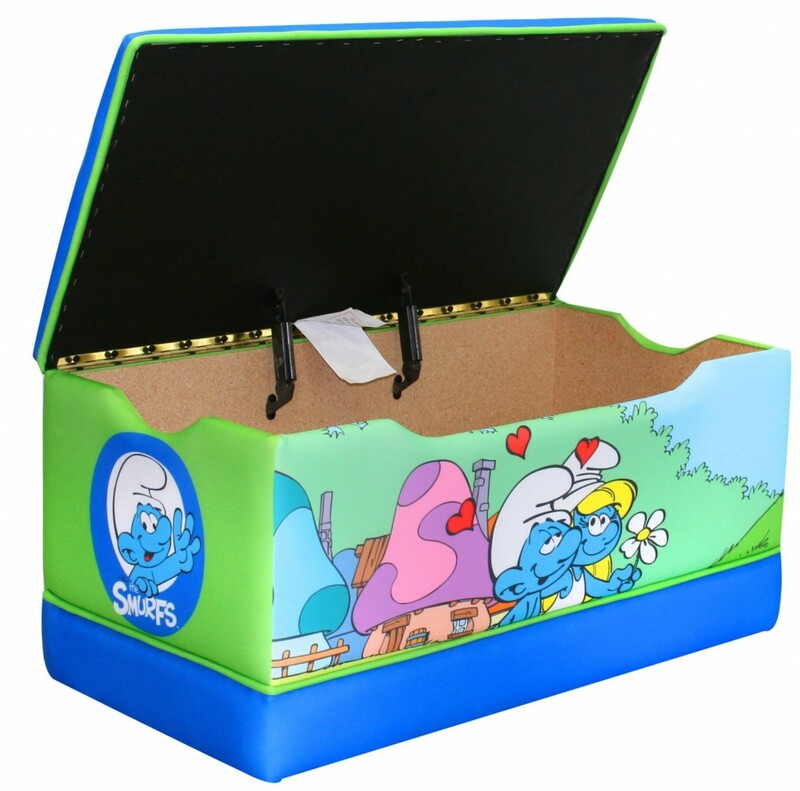 What a cute and adorable Smurfs in Love toy box for girls!! One of the cutest toy chests ever! Perfect for a bedroom in light blue or light green! STURDY WOODEN TOY CHESTS FOR KIDS! 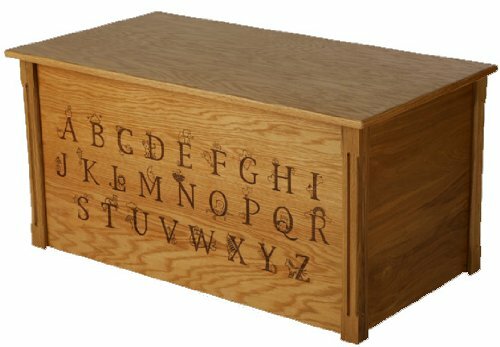 This beautiful alphabet wooden toy chest for children is very practical and educational! Besides teaching kids to put their toys away when done playing, parents can also teach them the ABCs! Made with a beautiful oak finish, this wooden toy chest will last for many, many years! Wooden toy chests can be used for storing small toys, balls, dolls, comic books, blankets, towels, gadgets, stuffed animals or anything else you want! Beautiful and Simple Honey Oak Wooden Toy Storage Bench! This beautiful and very useful wooden toy chest is also a bench! It was made of solid wood and it’s very high-quality! 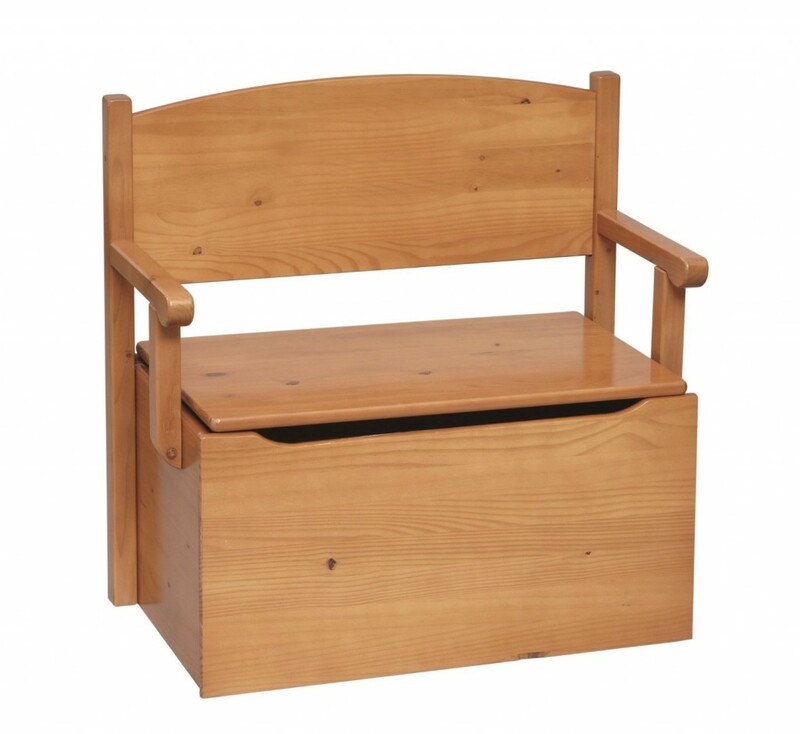 Wooden bench toy boxes are perfect for children’s bedrooms! They can store their toys inside and also sit down to play! Great gift idea! Great for children ages 2 and up! Product Dimensions: 16 x 31 x 30 inches. Personalized wooden toy chests are very popular choices for parents! They love to decorate their new child’s bedroom with a beautiful and classy personalized wooden toy chest! They make great gift ideas for a new baby in the family! 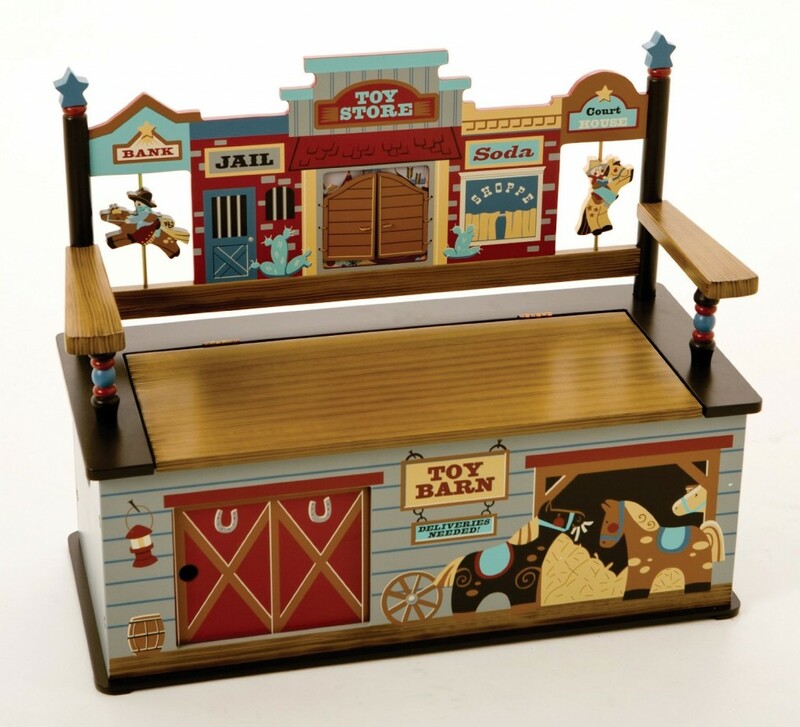 This gorgeous wooden toy box is also a bench! Will ship for free! Enjoy! Product Dimensions: 33 x 18.5 x 28.9 inches. Gorgeous Fire Truck Wood Toy Chest for Boys! 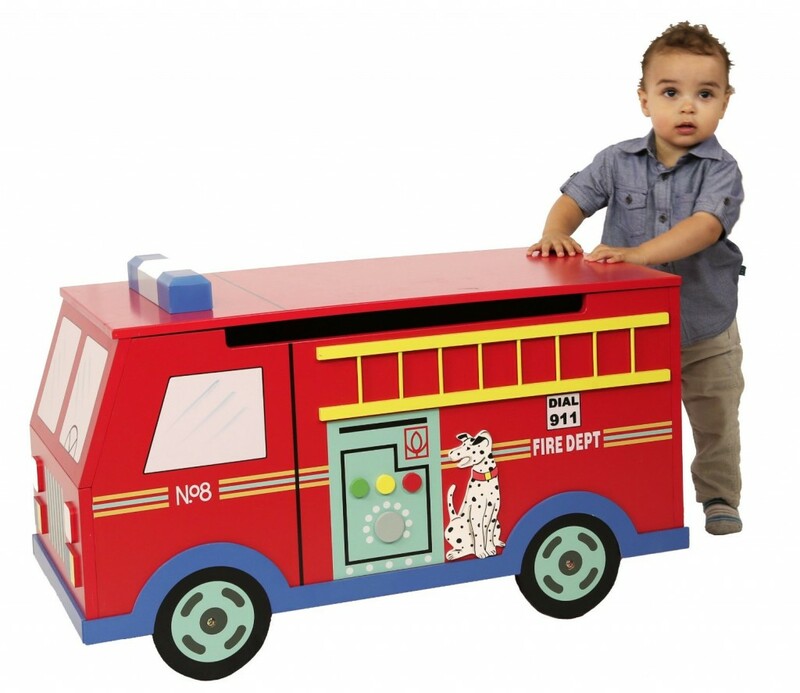 Gorgeous and very colorful fire truck wooden toy chest for children! Hand-painted colorful wooden toy chests are my favorites! They look lovely in any children’s bedroom! This cute wood toy chest will look very cute in your little boy’s bedroom for sure! It’s also made using eco-friendly wood, so it’s also completely safe! A happy grandpa said it is very sturdy and easy to assemble! This is one of the cutest and most colorful hand-painted wooden toy box for kids!! It is so happy!! It will make any child’s bedroom come to life! You can see a happy and playful panda, cheerful monkey, cute giraffe, funny hippo, smiley zebra, fun elephant and a friendly lion, all together celebrating a beautiful day in the jungle! Product Dimensions: 15.5 x 28 x 30.6 inches ; 40 pounds. *I hope you were able to find a cool, colorful and fun toy chest for your little one here today! Best Toy Storage Bins and Toy Organizers for Kids!